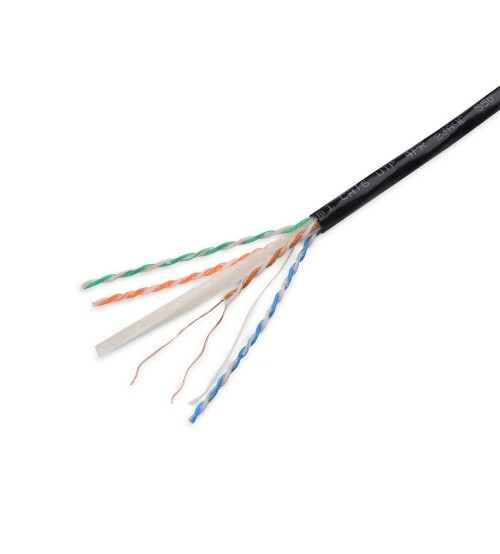 Excel CAT 6 UTP 305m Box of cable are manufactured and tested to the TIA/EIA 568‐B.2‐1, EN50173‐1 and ISO/ IEC 11801 Category 6 specifications. 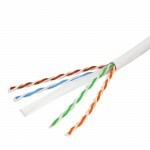 Each cable consists of 8 colour coded 23AWG polyethylene insulated conductors. These are twisted together to form 4 pairs with varying lay lengths. These pairs are then formed around a central ‘X’ shaped polyethylene filler. This filler assists in maintaining and enhancing the cables performance. A jacket of UV and moisture resistant polyethelene is applied making this cable ideal for outdoor installation. The printing detail along the outer sheath includes the cable part code, specification detail and our new 305 to 0 metre marked system. As the cable is dispensed from the box the sequential marking counts down from 305 to 0 metres, as well as reducing waste and accounting easily for cables installed, this innovative print legend finally removes the guesswork from assessing the amount of cable remaining in partly used boxes. 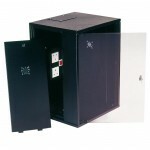 Due to the risk of lightning or over‐voltage damage both ends of the external cable must be fitted with equipment suitable for protecting the computer system and operators from a direct or indirect lightning strike or other overvoltage situation. These devices are available in many forms, but are usually system specific and you will need to contact the manufacturer of these devices to ensure the requirements of the network is met. Excel recommends the use of optical fibre in all external cabling, and any damage to the cabling system due to lightning strikes or over‐voltage is solely at the risk of the installer. Excel Category 6 cables are manufactured and tested to the Category 6 performance standards defined by the ISO standards bodies. A range of performance characteristics are tested upto 250MHz including return loss, attenuation and near and far end crosstalk (NEXT and FEXT) for which both worst case and power sum tests are completed. Actual performance far exceeds the required standard – when tested in isolation and in circuit – resulting in significant headroom for even the most demanding of applications. 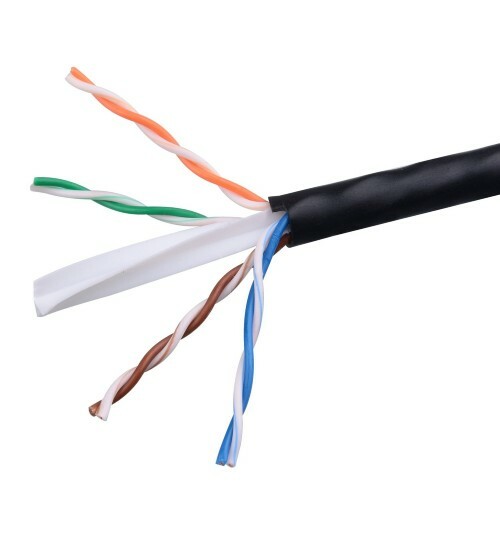 As well as providing link and channel compliance with the aforementioned specification – when installed with Excel category 6 components – the cable is also backward compatible with Category 5 and 5e components.